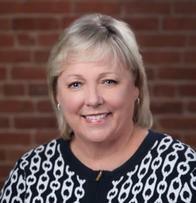 Leigh Ann Luther is a Financial Advisor in the Morgan Stanley office in Franklin, TN. She has been with the predecessor firm of Morgan Stanley’s Global Wealth Management Division for 16 years, and brought with her 20+ years of experience as an independent business owner and real estate investor. She successfully owned and managed a John Deere dealership, an American Car Care Center and many other real estate ventures and properties in Dickson County. Not only did she actively manage each business venture, but also sought investors and negotiated the sale of each. A serious investor herself, her life-long dream was to help others through financial and investment planning. She now works with individuals, small businesses, corporations, endowments and non-profit organizations focusing on building risk tolerance based investment strategies, retirement and income planning and legacy and succession planning. Leigh Ann is active in many organizations and charitable events. She has 2 married sons, David and Brett, two grandsons, Caleb and Brady, and one granddaughter, Ridley. She lives with her husband of 40+ years on their 500 acre farm in Dickson, TN. 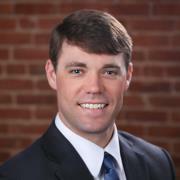 Brett Luther is a CERTIFIED FINANCIAL PLANNER and Wealth Management Associate. He has been with Morgan Stanley*s Wealth Management Division since 2006 and holds a B.S. Degree from Austin Peay State University where he also enjoyed a successful baseball career. Representing a major part of the succession planning strategy, Bretts focus is on helping address estate planning strategies and long term care needs for individuals as well as business planning and retirement solutions, from the perspective of the owner and employee. He is an avid sportsman and wildlife conservationist, having founded the Five Rivers Chapter of Ducks Unlimited. Brett resides in Dickson, TN with his wife Taylor, son Brady, and daughter Ridley, where they also assist in the management of the familys fifth generation farm.